Mucosal immunology, Intestinal inflammation, Immuno-endocrine interaction and Host defence in the context of intestinal infection/inflammation. Infection and inflammation in the gastrointestinal (GI) tract is associated with activation of immune system and alteration in the intestinal physiology which includes changes in neuro-endocrine function, mucin production and motility. Using models of enteric infection and inflammatory bowel disease (IBD) my research involves studies on interaction between immune and endocrine systems in relation to gut inflammation and host defense. I am investigating how the immune system controls endocrine system in gut particularly the function of enterochromaffin cells and serotonin production and the role of serotonin in immune activation, inflammation and host defense. I am also investigating the roles T cell subsets, cytokines, and chemokines in regulation of mucin producing intestinal goblet cells and intestinal muscle function in the context of GI infection/inflammation. In addition, my research also includes investigations on immunological strategies to modulate intestinal inflammation in experimental models of IBD. Cell culture, immunohistochemistry, immuno-fluorescence, lymphocyte proliferation study, ELISA, multiplex immunoassay system, western blotting, flow-cytometry, laser capture micro-dissection, denaturing gradient gel electrophoresis and RT-PCR. 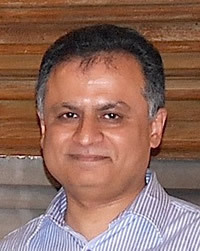 Dr. Khan is also involved in training post-graduate medical biochemistry residents and fellows and general pathology residents, thesis supervision within the Undergraduate Bachelor of Health Science Program and Life Science Program, and is a Faculty of Health Sciences MD/PhD Program faculty member. H. Wang, J. J Kim, E. Denou, A. Gallagher, D. J. Thornton, M. S. Shajib, L. Xia, J. D. Schertzer, R. K. Grencis, D. J. Philpott & W. I. Khan. New role of Nod proteins in regulation of intestinal goblet cell response in the context of innate host defense in an enteric parasite infection. Infect Immun. 2015;84(1):275-85. J. J. Kim, H. Wang, J. D. Terc, B. Zambrowicz, Q. M. Yang & W. I. Khan. Blocking peripheral serotonin synthesis by Telotristat Etiprate (LX1032/LX1606) reduces severity of both chemical- and infection-induced intestinal inflammation. Am J Physiol Gastrointest Liver Physiol. 2015;309(6):G455-65. J. D Crane, R. Palanivel, E. P Mottillo, A.L Bujak, H. Wang, R. J Ford, A. Collins, R. M Blümer, M. D Fullerton, J. M Yabut, J. J Kim, J. E Ghia, S. M Hamza, K. M Morrison, J. D Schertzer, J. R Dyck, W. I Khan & G. R Steinberg (2014). Inhibiting peripheral serotonin synthesis reduces obesity and metabolic dysfunction by promoting brown adipose tissue thermogenesis. Nat Med. 2015;21(2):166-72. E. Denou, K. Lolmède, C. Chabo, T. Lau. M. Fullerton, G. Nigro, A. Zakaroff-Girard, E. Luche, M. Garret C, Serino, J. Amar, M. Courtney, J. Cavallari, B. Henriksbo, N. Barra, K. Foley, H. O’Neil, P. Sansonetti, W. I. Khan, M. Surette, A. Bouloumie, G. Steinberg, R. Burcelin & J. Schertzer. NOD2 peptidoglycan sensing protects against diet-induced insulin resistance. EMBO Mol Med. 2015;7(3):259-74. K. L Flannigan, T. A Agbor R. W, Blackler, J. J Kim, W. I Khan, E. F Verdu, J. G Ferraz & J. L Wallace. Impaired hydrogen sulfide synthesis and IL-10 signaling underlie hyperhomocysteinemia-associated exacerbation of colitis. Proc Natl Acad Sci U S A. 2014; 111(37):13559-64. J. J. Kim, B. W. Bridle, J. E. Ghia, H. Wang, S. N. Syed, M.M. Manocha, P. Rengasamy, M.S. Shajib, Y. Wan, P. B. Hedlund & W. I. Khan (2013). Targeted Inhibition of Serotonin Type 7 (5-HT7) Receptor Function Modulates Immune Responses and Reduces the Severity of Intestinal Inflammation. J Immunol.190:4795-804. M. S. Shajib, H. Wang, J. J. Kim, I. Sunjic, J. E. Ghia, E. Denou, M. Collins, J. A. Denburg & W. I. Khan (2013). Interleukin 13 and serotonin: linking the immune and endocrine systems in murine models of intestinal inflammation. PLoS ONE. 8:e72774. M. Manocha, M. S. Shajib, M. M. Rahman, H. Wang, P. Rengasamy, M. Bogunovic, M. Jordana, L. Mayer & W. I. Khan (2013). IL-13 mediated immunological control of enteroendocrine cell hyperplasia and serotonin production in gut. Mucosal Immunol. 6:146-55. J. McClemens, J. J. Kim, H. Wang, Y. K. Mao, M. Collins, W. Kunze, J. Bienenstock, P. Forsythe & W. I. Khan (2013). Lactobacillus Rhamnosus (JB-1) Ingestion Promotes Innate Host Defense in an Enteric Parasitic Infection. Clin Vaccine Immunol. 20:818-26. M. Manocha & W. I. Khan (2012). Serotonin and GI Disorders: An Update on Clinical and Experimental Studies. Clin Transl Gastroenterol. 2012;26;3:e13.doi: 10.1038/ctg.2012.8. J. E. Ghia, Nan Li, H. Wang, M. Collins, Y. Deng, R. T. El-Sharkawy, F. Cote, J. Mallet & W. I. Khan(2009). Y. Motomura, H. Wang, Y. Deng, R.T. El-Sharkawy, E.F. Verdu & W.I. Khan. (2009). Helminth antigen based strategy to ameliorate inflammation in experimental model of colitis. Clinical & Experimental Immunology 155: 88-95. Y. Motomura, J. Ghia, H. Wang, H. Akiho, R. T. El-Sharkawy, M.Collins, Y.Wan, J. T. McLaughlin &W. I. Khan(2008). Enterochromaffin cell and 5-hydroxytryptamine responses to the same infectious agent differ in Th1 and Th2 dominant environments. Gut 57:475-81.